This is an inflatable ball with the moon printed on it that you can hang or place just about anywhere. It is 12 inches making it a nice size for bedrooms. The LED light is removable and comes with the lamp. Lamp, however, is probably a misnomer. The light that this gives off won’t be very bright and really, it will just make a fun night light for someone who really likes space. You have to blow this up yourself. Once you inflate it and put in the light, you’re all ready to go. Also good for educational displays and or shop fronts. I mean, what isn’t improved by adding a glowing moon to it? Hang from the ceiling, leave on the floor, it’s up to you! 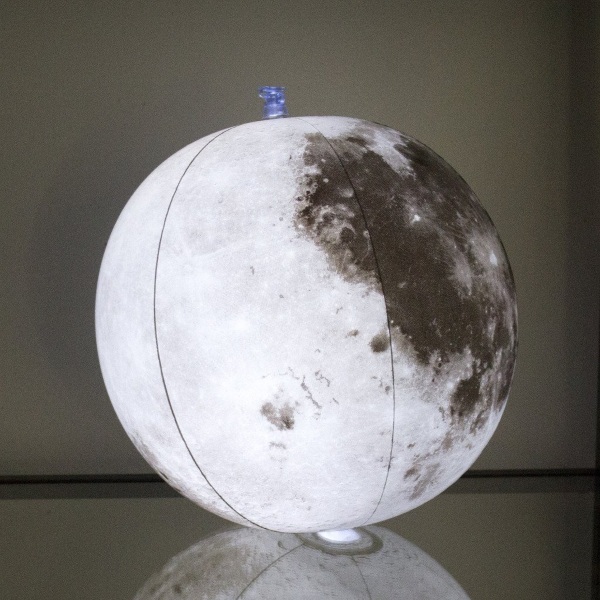 The Inflatable Light-Up Moon Globe is $22.95.